Today we have reached an important milestone in the data transformation movement with the naming of members to Commerce Department’s new Data Advisory Council (CDAC). The 19 leaders we have selected will help guide the Department in revolutionizing our approach toward data optimization and usability. They are bright stars in private and public sectors: thought leaders on data; respected and well-equipped to facilitate this transformation. Members’ expertise mirrors the spectrum of Commerce data -- demographic, economic, scientific, environmental, patent, and geospatial. Their agenda? To help us foster innovation, create jobs, and drive better decision-making throughout our economy and society. Their first meeting will take place April 23-24 in Washington, D.C. Selecting from an impressive and wide array of experience, innovation, education and talent was not an easy task. The individuals we have chosen are extraordinary for a host of reasons evident in their positions and achievements. But perhaps one of the most compelling traits they share is keen awareness that success is built upon the ability to listen to a chorus of voices representing a range of viewpoints. Click here for CDAC members bios. We are thrilled to have reached this important marker in our “data revolution” and look forward to the CDAC’s guidance on such key issues as data management; open data standards; public-private partnership; and ensuring a user-driven process. 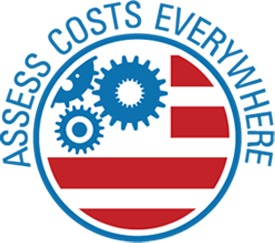 Our country – the public, businesses, NGOs, non-profits, academic institutions and governments at all levels – relies on the U.S. Department of Commerce’s Economic & Statistics Administration (ESA) to provide timely, relevant, and high-quality data about our population and economy so they can make better decisions. This is no easy task given the sheer magnitude of our nation – we have over 7 million employer- businesses, 320 million people, a Gross Domestic Product of over $17 trillion, and trillions of dollars in international trade. It can make your head spin. Additionally, keeping track of our economy and population is made all the more difficult because of the dynamism of our country: hundreds of thousands of new businesses start every year; tens of millions of people move; and new industries arise while others decline. 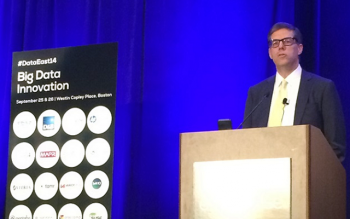 On top of all of this, we are in the midst of a data revolution, with rapid advances in private-sector data availability, new data analysis tools, and ever more and changing ways to disseminate data. To be successful in both my traditional job as ESA Under Secretary and as a leader of the Data Pillar, I need a capable, nimble, leadership team with a diverse set of skills. None of us can be successful alone; instead we need to be members of strong teams committed to excellence. This post focuses on just one ESA team, that of my immediate office, which has been revamped in the past year. Team members were chosen and the positions created to meet a specific and diverse list of challenges, the most important being continuity, communication, coordination, and planning. Last summer, I outlined the wide variety of factors that make the Department of Commerce “America’s Data Agency” – and I announced a series of steps aimed at unlocking the full potential of our data resources. Among those actions, launching a department-wide Data Advisory Council was a top priority and a key commitment. And today, I am pleased to say that we are making good on our promise: the council has been officially established and we are now accepting applications. We are looking for the best and brightest data thought leaders in the private and public sectors to advise our efforts to revolutionize Commerce’s data – to foster innovation, create jobs, and drive better decision-making throughout our economy and society. The application process extends through December 3, 2014. If you think you have what it takes, I strongly urge you to apply. As we build our Data Advisory Council, we are actively recruiting a Chief Data Officer (CDO) to drive the transformation of our data, and we are pleased to announce the hire of an outstanding Deputy CDO, Lynn Overmann, currently a senior advisor to White House Chief Technology Officer Megan Smith. Lynn will be responsible for coordinating and guiding the Department’s efforts to realize the value of our data and to put the vast volumes of our data to better use each and every day. In July, Secretary of Commerce Penny Pritzker announced that our department will be hiring our first ever Chief Data Officer (CDO), building on her commitment to Commerce’s role as “America’s Data Agency.” She also announced the formation of a data advisory council comprising private sector leaders who will help the CDO navigate new and dynamic data challenges. This is the latest chapter in Commerce’s long history of adapting to serve the needs of an ever-changing American economy. 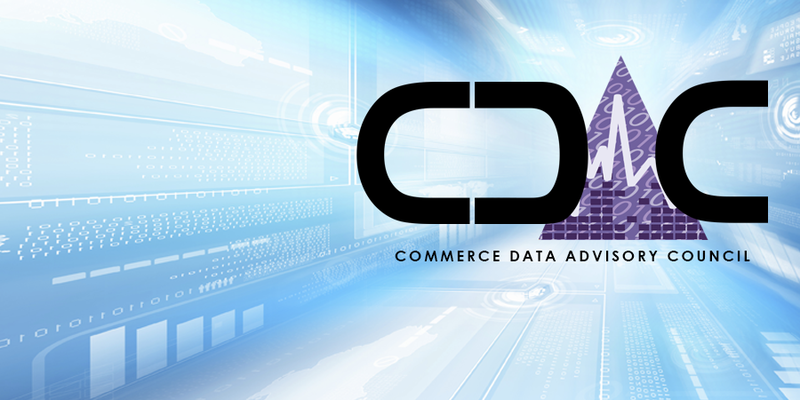 The United States Department of Commerce has been a trusted provider of data and statistics for centuries. The first decennial census took place in 1790 and the first patent was issued that same year. Today, because of advances in technology, we are able to provide Americans with more data, faster and more accurately than ever before. This transformation can be seen in the evolution of the Census Bureau. Article 1 Section 3 of the US Constitution states that the U.S. government shall enumerate the population of the United States every 10 years. Beginning with the 1790 Decennial Census and once every decade since then, the federal government has provided this invaluable information, making the United States the first country to produce a regular count of its citizens. By the early 1800s it became clear that in addition to the important demographic information flowing from the decennial census, there was also an imperative for regular collection of business information. In response to that need, in 1810, the U.S. Census Bureau established a census of businesses, also known as the economic census. The initial focal points were manufacturing, lumber yards and butcher shops. In 1902, Congress authorized the establishment of the U.S. Census Bureau and directed that the census of manufacturers be taken every five years (a “quinquennial” census). As the economy grew, the Census Bureau responded accordingly and by 1930 it had expanded the economic census to include services. The breadth of the survey has since changed to keep pace with our nation’s growing economy. The 2012 economic census data are currently being released. Under Secretary Mark Doms participated in a high level data discussion this morning at the Strata+Hadoop World Conference in New York City. 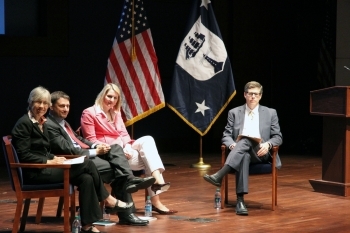 Before an audience of 500 leading technologists and data programmers, Under Secretary Doms talked with host Jennifer van der Meer, Adjunct Professor at NYU's Interactive Telecommunications Program and CEO of Reason Street, to explore the Department of Commerce's strategic data plan and Doms' efforts to move the federal statistical system into the era of big data. 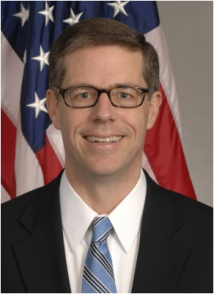 Doms noted that the US Department of Commerce has long been a powerhouse for government data, trailblazing the use of government statistics and analysis to help everyone make more informed decisions. Now, in the era of big data, with large volumes of data collected and analyzed by the private sector, by citizens themselves, the agency, with Doms leadership, is working to position itself as a leader in the federal data space. Jennifer van der Meer asked the Under Secretary about Commerce's plans to hire its first Chief Data Officer, stand up a Data Advisory Council populated with private sector and academic data leaders, and ways the Department is looking to team with the private sector to better collect, disseminate, and analyze Commerce data. Doms went on to highlight the fact that challenges facing companies and our society often do not fit neatly in the "buckets" represented by the various federal agencies. Commerce has data that, say, could be meshed with Department of Education data, to tackle our nation's skills gap or help students determine which majors have the best return on investment. Doms noted Commerce's involvement with the White House's Office of Science and Technology Policy and their efforts to coordinate interagency discussion to share best practices and tackle cross-agency challenges. Doms pointed out this coordination is critical to unleashing the positive benefits of federal data, with the next step being to figure out how to incorporate private datasets and get greater corporate buy-in to the open data movement currently underway at the federal, state and local level. 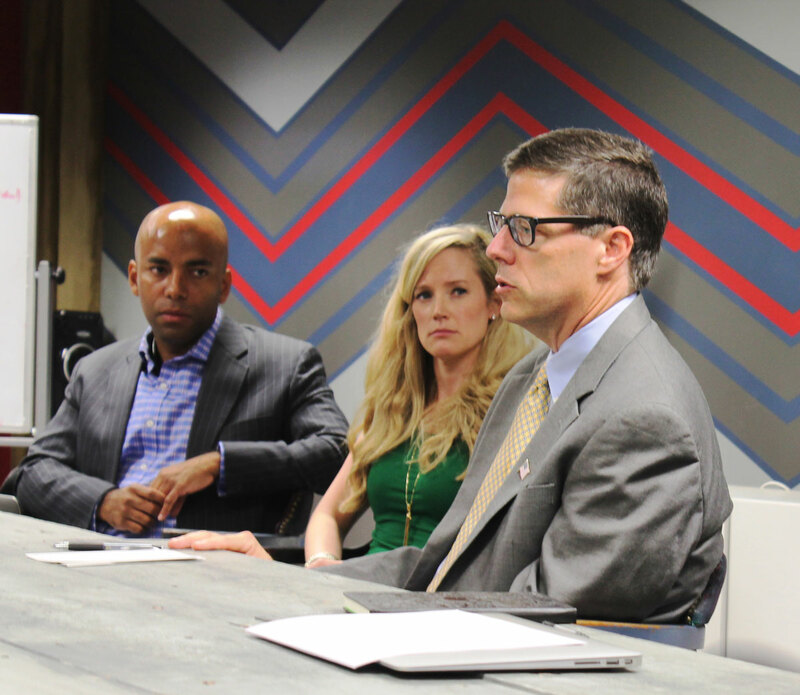 Under Secretary Doms closed out the discussion by making the case that the federal government must remain a leader in data. Like our basic scientific research, the building and maintaining of our nation's highways and water treatment facilities, and rural postal delivery, providing comprehensive data on our people, economy and the planet will continue to be a core federal mission. This information is critical to decision making by every business, government, and citizen, and the private sector simply does not have the financial incentive to fill this role. Doms thanked Jennifer and the audience for a lively discussion, one that further informed his efforts, under Secretary Pritzker's leadership, to revolutionize data at the Department of Commerce. On Friday, I was part of the team from the Department of Commerce, Department of Labor, Office of the Vice President, and White House Office of Science and Technology Policy (OSTP) who joined up with Baltimore’s Morgan State University (MSU) to "data jam" on how to get America’s youth connected to jobs and on the path to rewarding careers. Labor force participation for America’s youth is at historic lows. Only about 1 in 2 people in their teens and early 20s are working or looking for work. While it is easy to point to increasing college enrollment as a reasonable explanation, the workplace offers the opportunity to gain skills to complement academic, career and technical training. The cost of young people staying out of the labor market is all too real. Failure to join the labor market means reduced financial self-sufficiency, lost opportunities to apply academic skills or gain occupation-specific experience, and acquire more general workplace skills such as teamwork, time management, and problem solving. 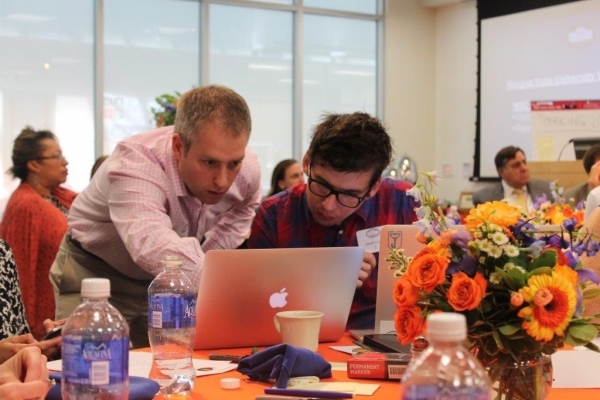 The Data Jam brought together entrepreneurs, technology leaders, and policy experts to explore ideas for tools, services, and apps for young job seekers to explore career options, training opportunities, and new industries. Technology can help young people find connections to the labor market; assess academic, career, and technical training information; and, simply learn more about the world of work. The proliferation of labor market and career information from federal and state governments and the private sectors can provide great content and inspiration for new tools and apps. So, it was fitting that MSU, with competitive STEM (Science, Technology, Engineering and Math) coursework and state of the art facilities, opened its doors to national technology experts, and regional and federal government leaders to connect young workers with the training and resources they need to identify and seize upon employment opportunities. 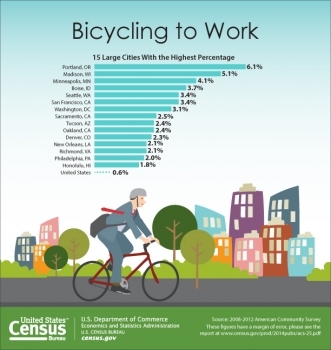 The U.S. Census Bureau today kicked off National Bike to Work Week and released the first-ever data on the number of people who bike and walk to work. In addition, the Census Bureau released a new commuting edition of the interactive map Census Explorer that allows Web visitors easy click-and-zoom access to commuting statistics for every neighborhood in the U.S. It also shows how commuting has changed since 1990 at the neighborhood, county and state level — including how long it takes to get to work, commutes longer than an hour, and number of bikers. The Census Bureau report "Modes Less Traveled — Bicycling and Walking to Work in the United States: 2008-2012," found many U.S. cities are seeing an increase in bicycle commuters. Nationwide, the number of people who traveled to work by bike increased roughly 60 percent over the last decade, from about 488,000 in 2000 to about 786,000 during the 2008-2012 period. This is the largest percentage increase of all commuting modes tracked by the 2000 Census and the 2008-2012 American Community Survey. This report — the Census Bureau's first focusing only on biking and walking to work — is one of many that examines specific aspects of commuting, including workplace location, working from home, long commutes and specific travel modes. The report highlights the trends and socio-economic and geographic differences between motorized and nonmotorized commutes. 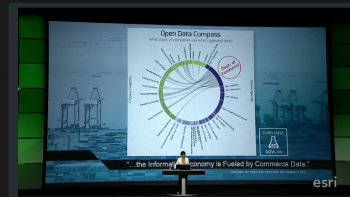 Big Data and Open Data are all the rage these days. However, Commerce was into Big Data before Big Data was cool. As far back as 1790, we began collecting data on patents in the U.S. and the Census Bureau conducted the first Decennial Census the same year. In 1870, the National Weather Service was created – which today is one of the biggest data producing agencies around. Back then, our economy was based largely on agriculture. Over the years, our economy evolved through the industrial revolution, later giving rise to the strong service sector. Today, we are at the nascent stages of the next era in our economic growth, the information age. On a daily basis, there is an ever-increasing amount of data becoming available, and the demand for data is increasing exponentially. We have before us both great opportunity and fascinating challenges to understand how best to harness this national resource. This is a key focus of Commerce’s Open for Business Agenda. You may not know it, but the Department of Commerce is home to many agencies that are your primary source for data that you likely use every day. How many people live in the U.S. or in your hometown? You might know the Census Bureau is the authority on population, but did you know the Census Bureau’s data goes well beyond just population? 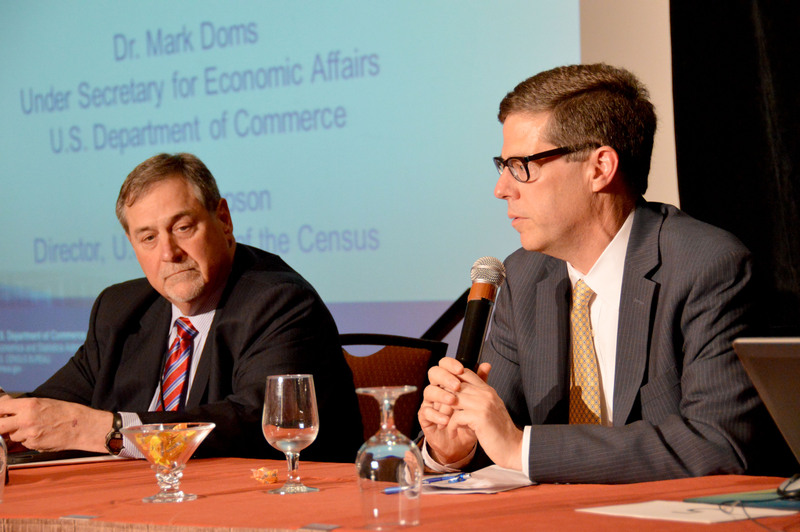 Census also produces huge volumes of data on our economy, demographics, and fascinatingly insightful data describing our communities – or, if you are a business, your customers. 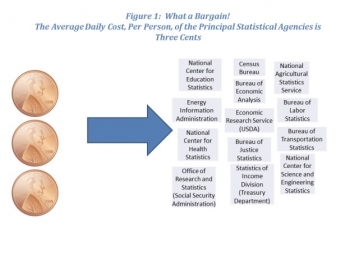 The Bureau of Economic Analysis is a little know agency that produces key economic data and many of the closely watched economic indicators that move markets, drive investment decisions and guide economic policy. Do you know which industries are the leading sources of income in your community, or to your customers? BEA data can tell you. The National Oceanic and Atmospheric Administration, or NOAA, is your primary source for weather, ocean and climate data – they are collecting data every minute of every day from land, sea, and even spaced-based sensors. When you hear the local forecast or hear about severe weather warning, that is NOAA data informing you about your environment in real time. The National Institute of Standards and Technology, locally known as NIST, is our nation’s authority on broad swaths of scientific, cyber, and physical data – including, officially, what time it is. We also have data on patents going back more than 200 years at the U.S. Patent and Trademark Office, which is a gold mine of inspiration for innovation. Other agencies in Commerce provide data on economic development, minority businesses, trade, and telecommunications and the Internet. On any given day, the Department will generate in excess of 20 terabytes of data, and sometimes much more. Yet, we think we can do more with this resource. We want to take every step we can to open access to it to the entrepreneurs and innovators of America, as we are pretty convinced that there is huge unmet value and potential. We understand that a huge part of the value of data is when it is not seen alone, but as part of a rich tapestry of information. We believe that there is great opportunity to solve problems, innovate new businesses, and improve data-driven decision-making, and we are committed to that path. 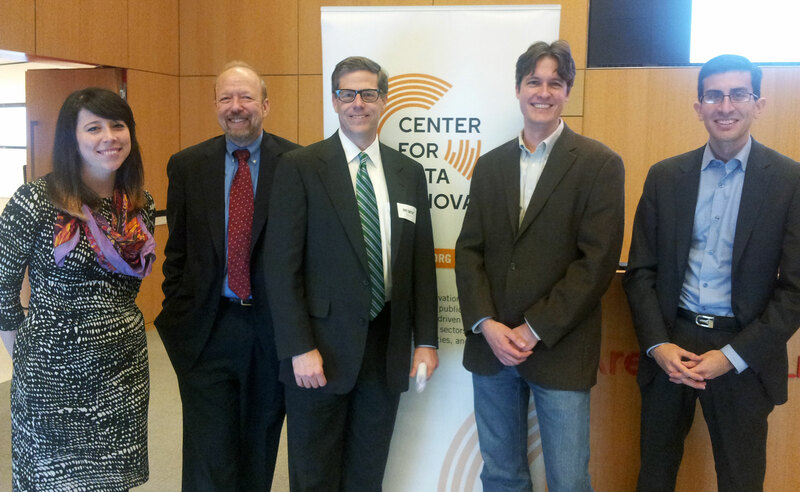 That is why I was so glad to be a part of today’s launch of the Open Data 500 Project, housed out of the GovLab at NYU. This exciting project has verified what we were certain must be true: That hundreds of American companies are using Commerce data every day to innovate and deliver important goods and services to their customers. U.S. Patent and Trademark Office (USPTO) patent databases. Specifically, the plan pledges to “improve government, business, and community decisions and knowledge by transforming Department data capabilities and supporting a data-enabled economy.” Success has three dimensions. First, everyone in our country should have easy access to reliable information about their communities, about their climate, and about how these are changing. Second, every business should have easy access to reliable information on their market, potential markets, scientific information, and changing economic conditions. Further, new data-based businesses should be able to easily pull our data, combine it with other information, and make new products to compete in the private marketplace. Third, and finally, every government should have easy access to the information they need to better serve their communities and to assess the efficacy of their programs. More simply put, success is making our data accessible in ways that make our businesses more competitive, our governments smarter, and our citizens more informed. How will that be achieved? 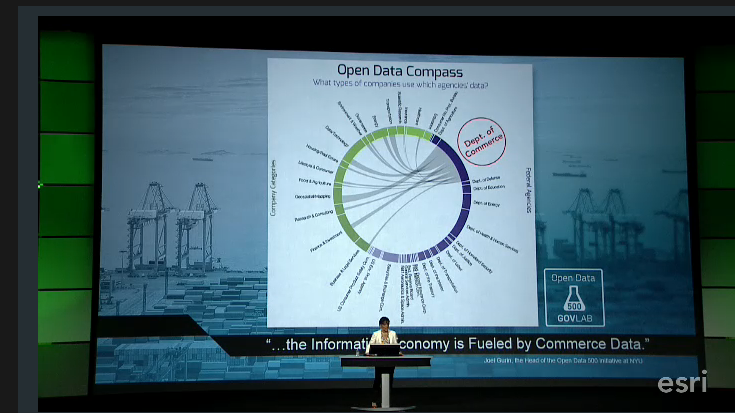 The first component is to transform DOC’s data capacity to make our data more accessible and usable. The second component of the data strategic plan is for us to use data to make government smarter. The third objective of our plan is to develop better collaboration and feedback loops with the private sector; to create timely, relevant, and accessible products and services. Many specific initiatives are well underway. 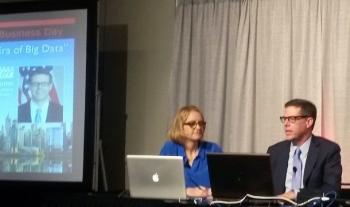 For example, NOAA already is seeking private-sector input on new public-private partnership models to make more weather and climate data available. NIST is spearheading the development of Big Data standards. Four years ago, President Obama made export promotion a national priority, launching the National Export Initiative to renew and revitalize American exports. That initiative is working. Today, the Department of Commerce announced that for the fourth year in a row, the United States has set a record for annual exports. Total U.S. exports for 2013 reached $2.3 trillion. There were record highs in both goods and services exports. Goods exports totaled 1.58 trillion, with records in a number of important sectors, including industrial supplies, consumer goods, and capital goods. Service exports hit an all-time high of $682 billion, with records in several major service sectors. Travel and tourism was one record sector, as international visitors contributed $139 billion to the American economy. Mexico was a particularly bright spot for U.S. exporters, as we saw a 4.7 percent increase to $226 billion in exports to our southern neighbor. Commerce Secretary Pritzker is currently leading a business development mission in Mexico, helping even more American companies find new opportunities and qualified business partners in one of our most important export markets. Last Friday, I was given the honor of speaking to about 500 people from 80 countries who took the oath to become U.S. citizens at a ceremony in Sterling, Virginia. The happiness, joy, pride, and gratitude in the room brought tears to my eyes, especially after imagining the collective hardships endured, the journeys taken, and the fears overcome by our new citizens. Like my family, most of us owe our lives and citizenship to our ancestors who left their homes, families, and friends behind to start a new life in a land of freedom and opportunity. We remain thankful for the incredible journeys and sacrifices they made so that their children could have better lives. 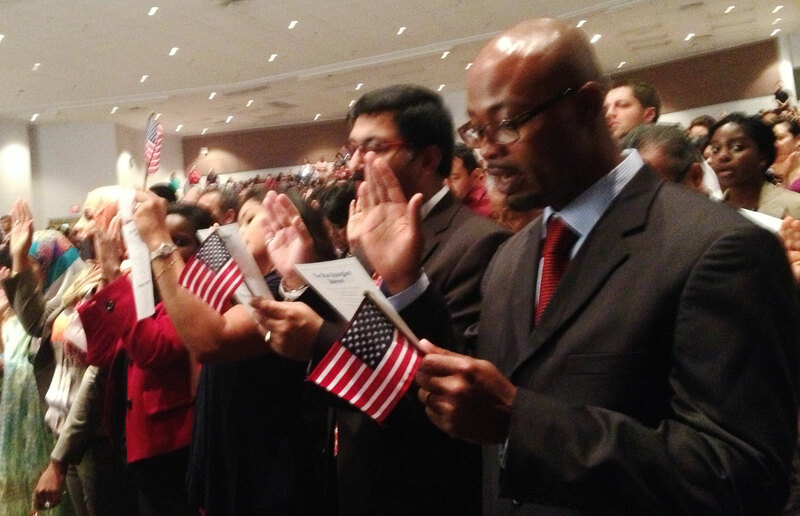 Likewise, the children and grandchildren of the people granted citizenship in Sterling, Virginia last Friday will also look back with special thanks to our new Americans. And let us not forget the instrumental roles that immigrants and their descendants have played in growing America’s economy. Further, our history as a nation of immigrants has defined our culture, and the diversity of ideas and customs that immigration provides keeps us competitive in this ever-changing world. Undoubtedly, the 500 people I spoke to have faced numerous challenges on their road to becoming U.S. citizens, including the challenge of traversing a broken immigration system. Thanks to a strong bipartisan effort in the U.S. Senate, we are much closer to fixing that system. Doing so will uphold our history as a nation of laws and a nation of immigrants. As years pass, I suspect that today, July 4th, 2013, will stand out in my memory because of the 500 lives that changed in Sterling, Virginia, and the possibility that many millions more lives will change – and strengthen our nation – in the years to come.